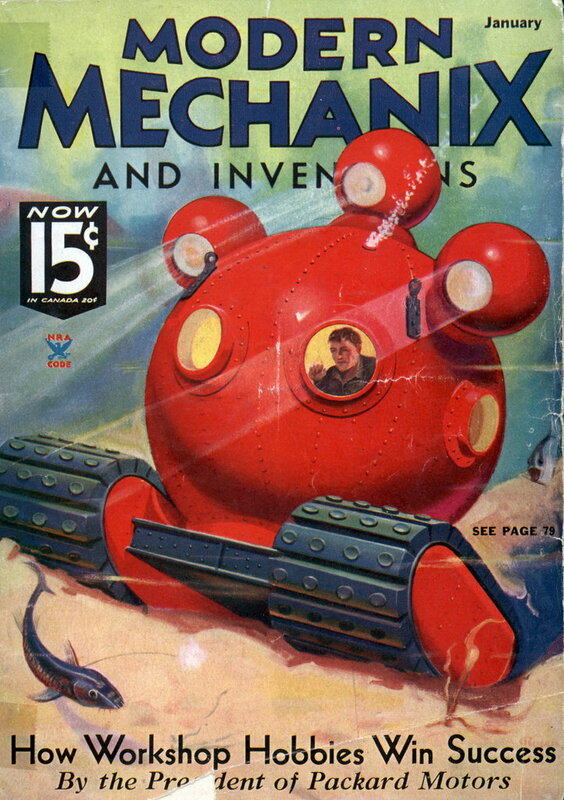 Now we know where they got the idea for Hellraiser from. 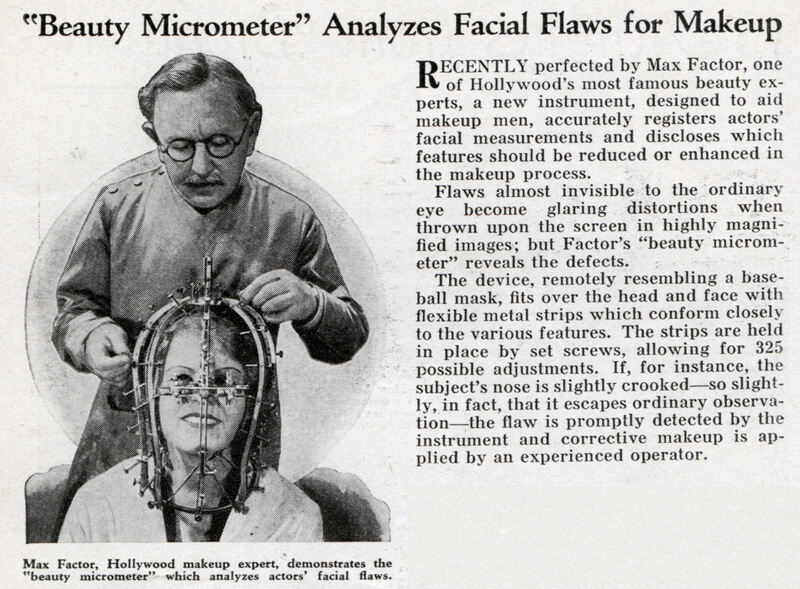 RECENTLY perfected by Max Factor, one of Hollywood’s most famous beauty experts, a new instrument, designed to aid makeup men, accurately registers actors’ facial measurements and discloses which features should be reduced or enhanced in the makeup process. The device, remotely resembling a baseball mask, fits over the head and face with flexible metal strips which conform closely to the various features. The strips are held in place by set screws, allowing for 325 possible adjustments. If, for instance, the subject’s nose is slightly crooked so slightly, in fact, that it escapes ordinary observationâ€”the flaw is promptly detected by the instrument and corrective makeup is applied by an experienced operator.